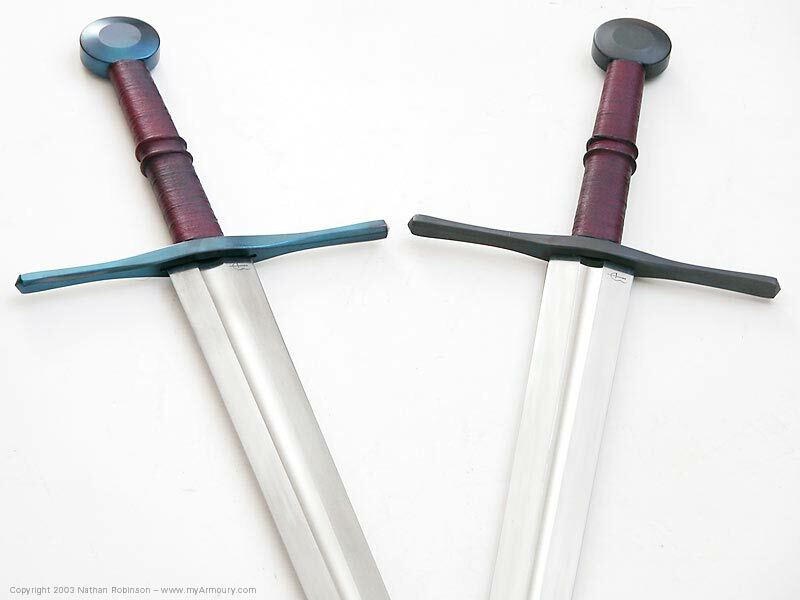 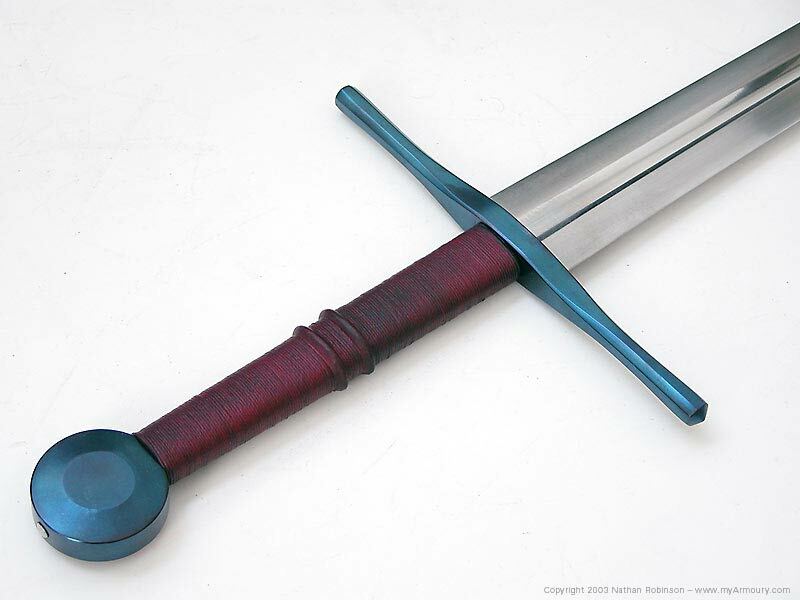 This is Albion's First Generation version of their newer Next Generation Crécy Sword. 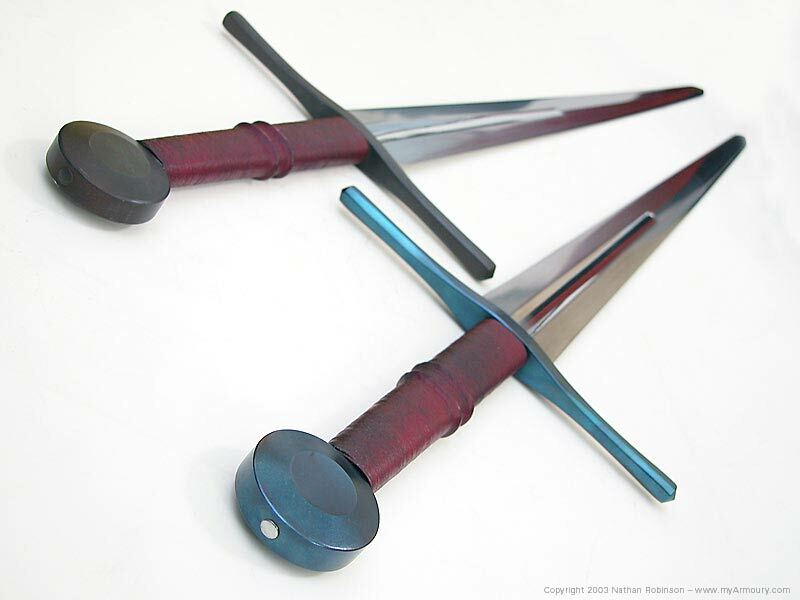 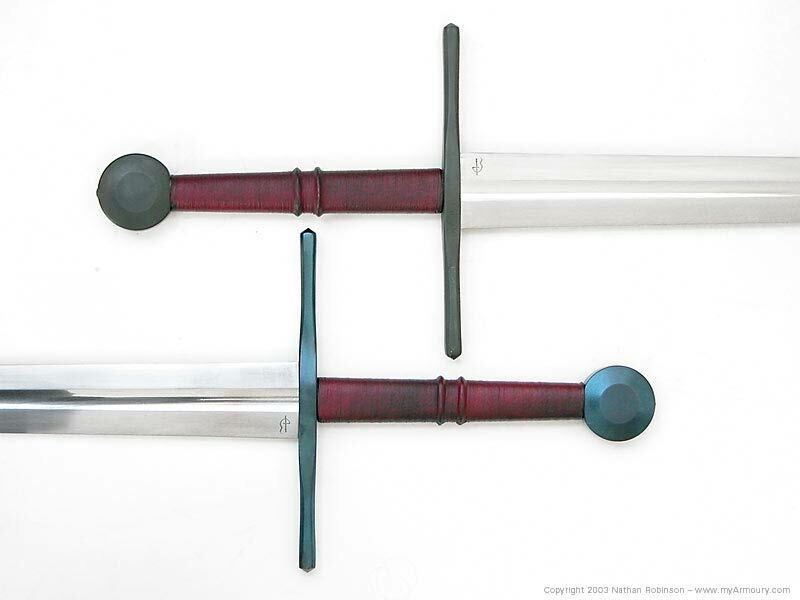 Double-edged satin-finished blade with a highly polished fuller; hot-blued or browned furniture; hand-forged wheel pommel and octagonally-shaped guard; wooden grip wrapped with oxblood-colored leather over fine cord. 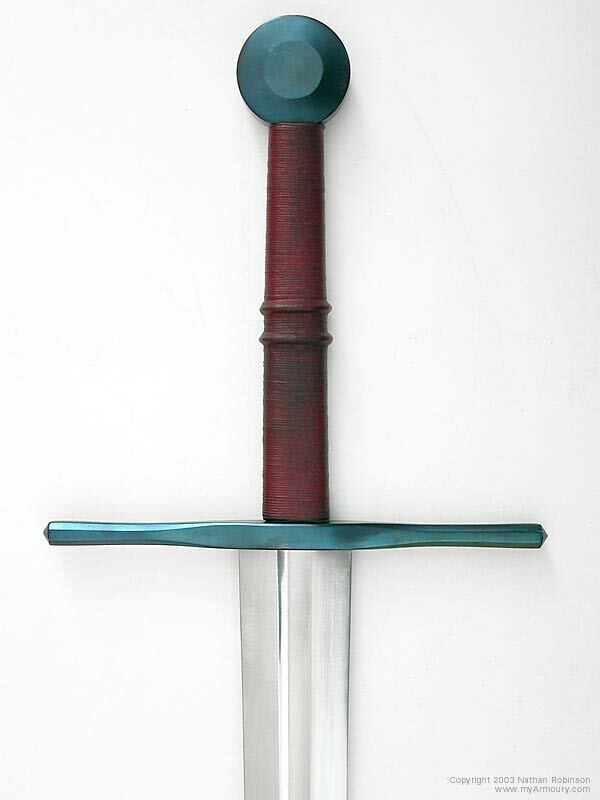 Has a simple black leather scabbard. 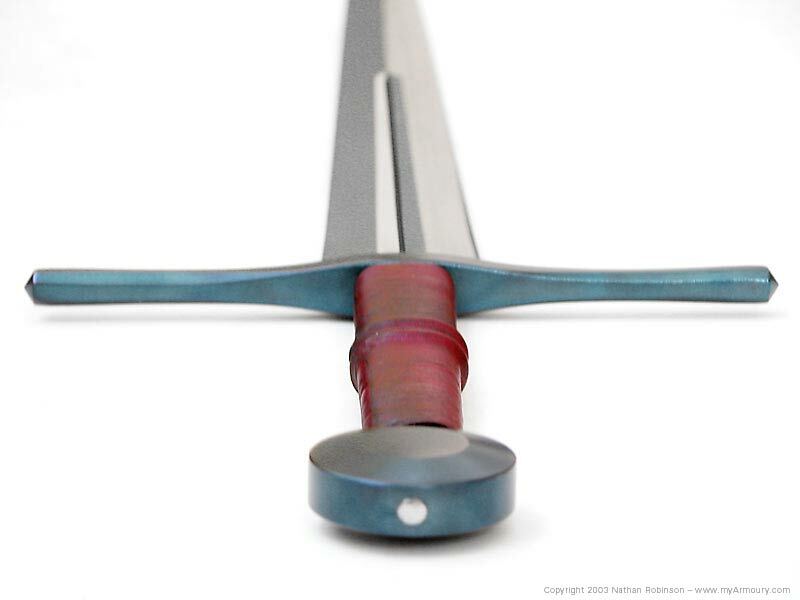 Width of grip: 1.25" tapering to 1"
Blade: 36" long; 2" wide tapering to .75"